The perfect gift for you or someone you love this Christmas. 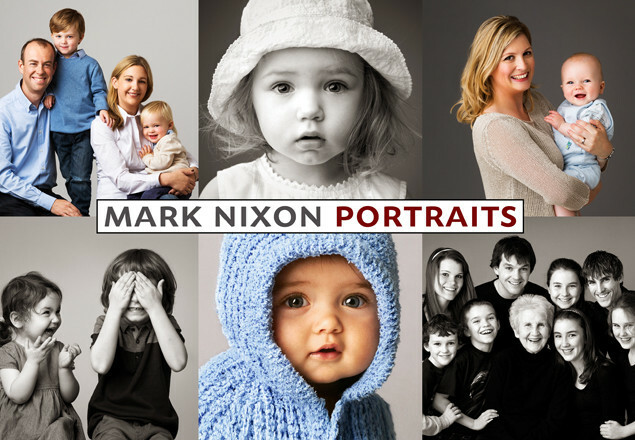 With this exclusive new customer offer from Rewarding Times and Mark Nixon Portraits, we are offering a fun filled family or children's photo shoot with Mark Nixon. The offer also includes a custom framed wall portrait to cherish forever for only €95. Mark Nixon is renowned for his relaxed manner and the ease at which he puts even the most camera shy subject. Mark is widely considered to be Ireland's leading celebrity portrait photographer. Winner of many international and national awards, including "Photographer of the Year". Mark's portrait photographs of well known faces, regularly features in magazines the world over. Mark Nixon Studio which opened in 2001, is only 2 miles from Dublin City Centre, located on the main Clontarf Road, with ample parking right outside the door. The framed wall portrait is a 25cm x 20cm (10" x 8") photograph in an 35cm x 28cm (11" x14") fully mounted and framed in their exclusive Californian Slimline Frame. Offer is for a Family or Children’s portrait shoot. (Family is defined as two generations of the same family, parents & children, grandparents and grandchildren). Three generation families are welcome at no extra charge. The offer is not valid between December 20th 2016 and January 3rd 2017 inclusive. Advance booking is required & subject to availability - please book early for Saturdays. The studio has a cancellation policy, which will be on your booking confirmation email. The ordering session, when the portrait is chosen, also takes place at the studio and must be completed within 21 days of your portrait session. Not valid in conjunction with any other offer or promotion. Non transferable. No monetary value. Cannot be used for any other service or products. One voucher per family/session. Voucher must be mentioned when booking and a printed copy presented on arrival.